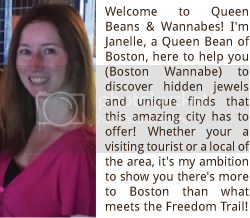 Queen Beans and Wannabes: Spring is here! Time for a new ‘do at Camille Albane! Spring is here! Time for a new ‘do at Camille Albane! I think we can officially say it- Spring is finally here! The trees are starting to grow buds, flowers are starting to bloom, and I have a constant runny nose, annoying cough and hair that’s been in hibernation all winter long…and it really shows! 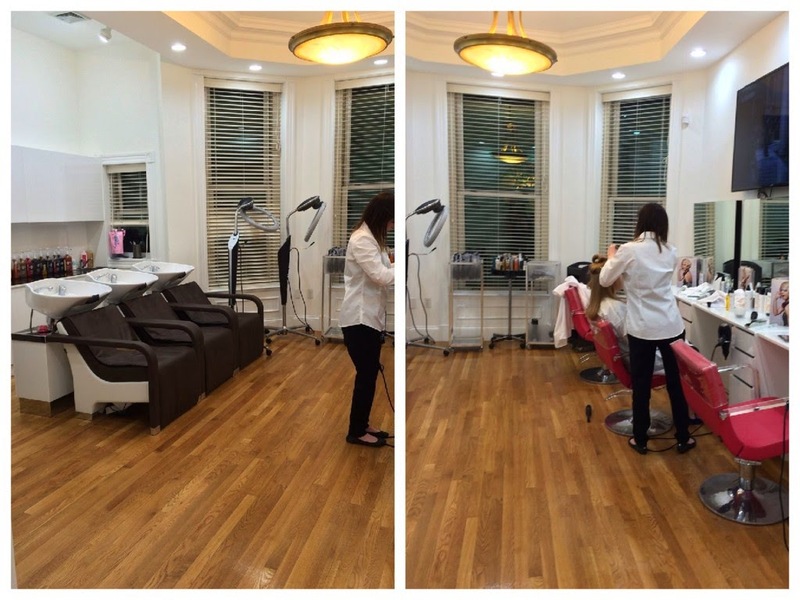 So, I was very excited when I saw BlogandTweetBos bloggers’ event for a hair treatment, blowout and makeup application at Camille Albane, a new salon located on Newbury Street (near Fairfield St.). Camille Albane is based out of France (mais oui!) 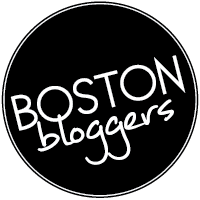 with its very first U.S. location right here in Boston. 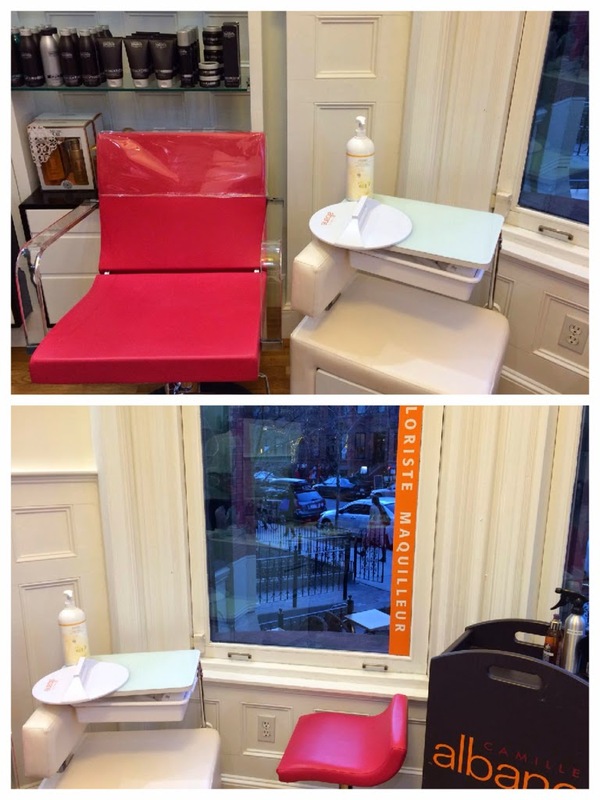 Great location right on Newbury St.
Back of the salon where the "magic" happens...love the bright pink! I met up with about 15 other bloggers at the open spaced salon for some wine and hors d'oeuvres and one by one we were led into the salon row to get our hair spring ready. 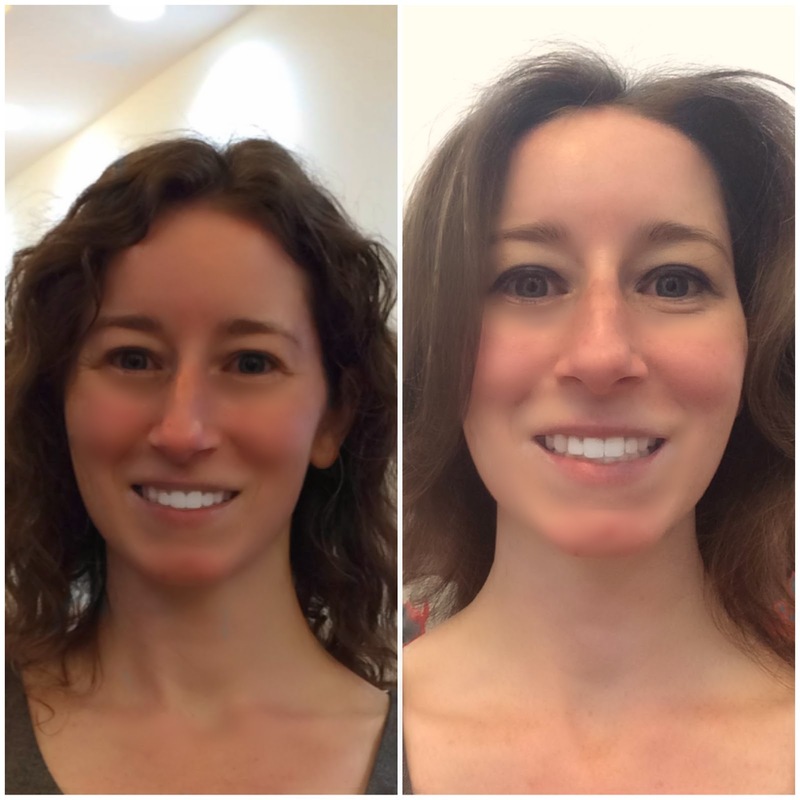 We were given two options for hair treatment- color enhancing or shine treatment. I chose to go with the shine treatment since this winter did a number on my hair, drying it out to look and feel like chopsticks. I was warmly greeting by my stylist who took me over to the sinks and explained more about their own line of products including the shine treatment. After about 15 minutes of soaking in the shine into my hair, I was given a wonderful scalp massage (seriously, I think I’m going to start paying money to have someone give me a scalp massage every day!). I was then taken over to the styling chair where the magic of my blowout began. I was very impressed with the finishing results, big, soft curls that seemed to make my hair look longer. Next up, it was time for my makeup application by Jen. The theme of Camille Albane’s makeup for the spring was “Blue Jeans” - perfect for someone with blue eyes. I was a little nervous that my eyes and face would be “too blue” and I’d end up looking like Mimi from ‘The Drew Carey Show’, but Jen did a great job creating the perfect balance of blue for my face. By the end of the night, albeit it was a Wednesday night, I was ready for a night on the town! My hair looked and felt great and my eye makeup really made my eyes pop out. Best of all, my hair actually stayed looking nice for a couple of days after my initial blowout. Camille Albane has reasonable prices compared to other salons on Newbury St. not too high, not too Supercuts. If you’re ready for a new spring ‘do or in the market of finding a new salon for your hair and makeup needs, I would highly recommend giving Camille Albane a try- tell them I sent you- I don’t think you’ll regret it!